The Buick Enclave was the right car at the right time for the brand a decade ago. I tested the highest trim level of the all-new crossover. I haven’t always been the biggest Enclave fan, but I enjoyed the updated version. The Enclave is possibly the most important Buick of all time. Before you chuckle at that statement, consider that in 2007, when the Enclave first hit the streets, parent company General Motors was headed for a federal bailout and bankruptcy as the financial crisis hit and decimated the US auto market. Buick as a brand was also in pickle back then: the original GM marque was thought by many to be headed for that great dealership in the sky, the next in line after Oldsmobile. As it turned out, GM kept Buick alive, putting Pontiac out of its misery instead. The Enclave’s timing was, ironically, perfect. 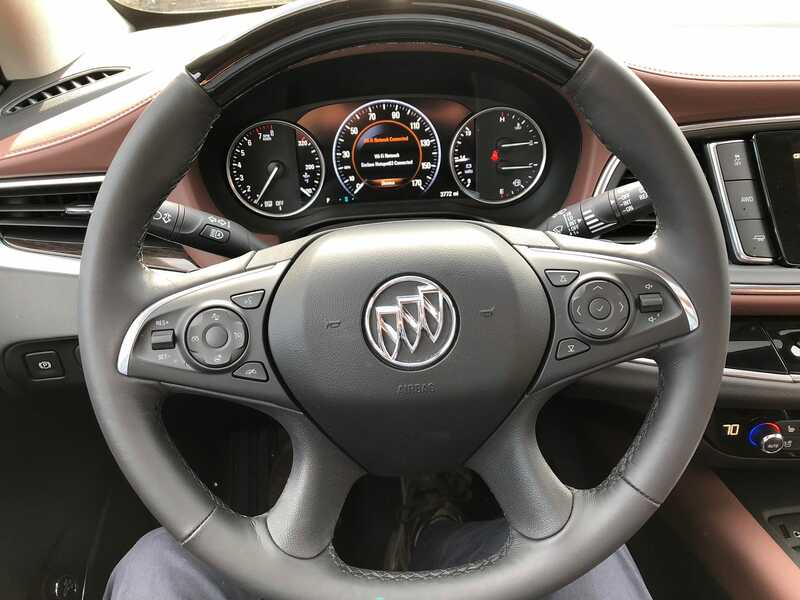 Buick lived because it’s a big brand in China — GM couldn’t afford to lose it in what would become the automaker’s largest market. And as the Great Recession receded, US buyers took a serious shine to crossovers — SUV-size vehicles with car-like features and driving dynamics. Enclave was an immediate smash. GM completely redesigned the vehicle for the 2018 model year, and in a new move, created a sub-brand for Buick: Avenir. The idea was to mirror what sister brand GMC had done with Denali, which was to tap into a higher level of the near-luxury market. 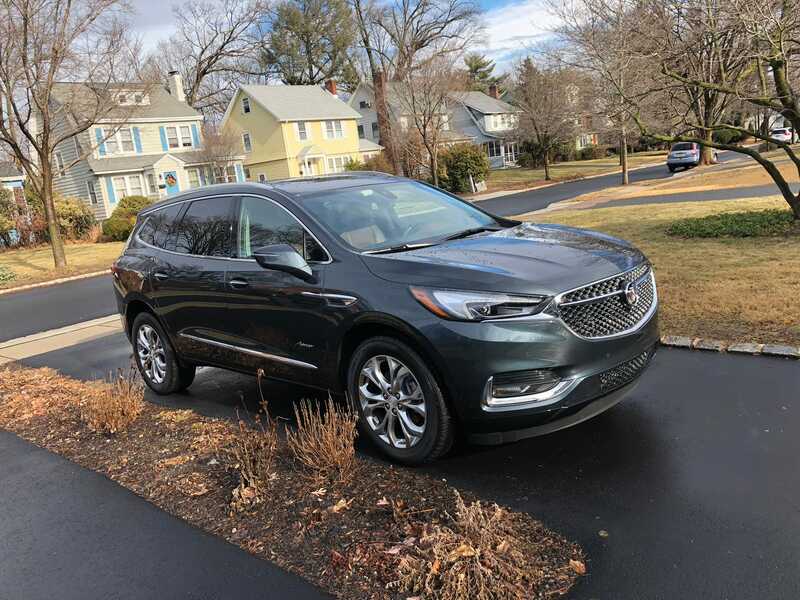 In January, Buick flipped us the keys to an Enclave Avenir, and I spent a week driving it around its natural stomping grounds: the suburbs of New Jersey. 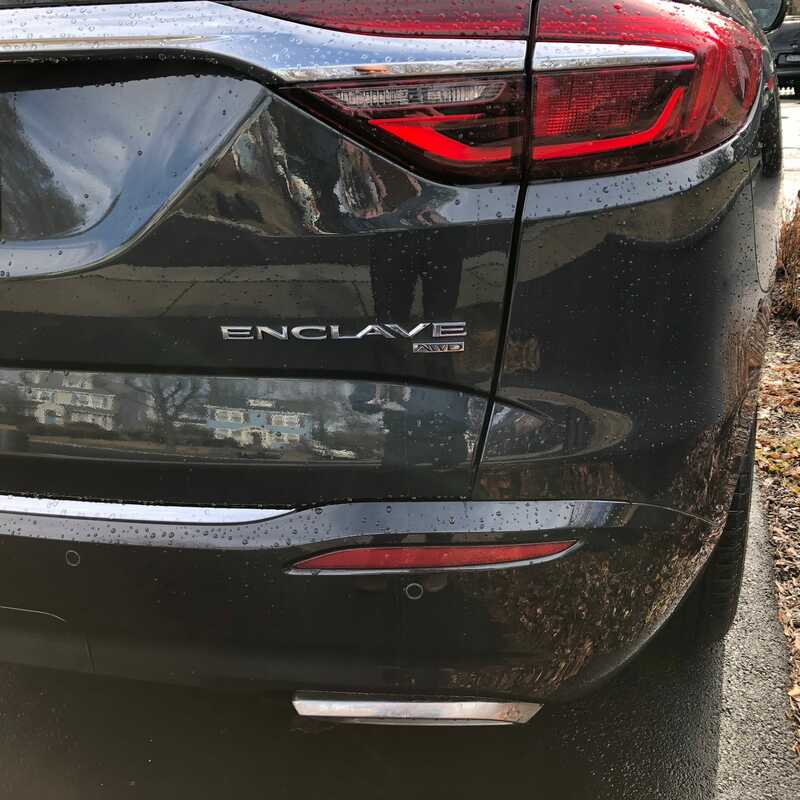 To be honest, I’ve never been huge Enclave fan, but I was excited to sample the redesigned vehicle. It’s an important product for Buick, which says Enclave sales peaked in 2014 and ’15, the slip in ’16 and ’17 as the crossover grew long in the tooth. Our tester stickered at about $59,000. It was very nicely equipped, with the Avenir goodies and all-wheel-drive. The base Enclave can be had for around $40,000. 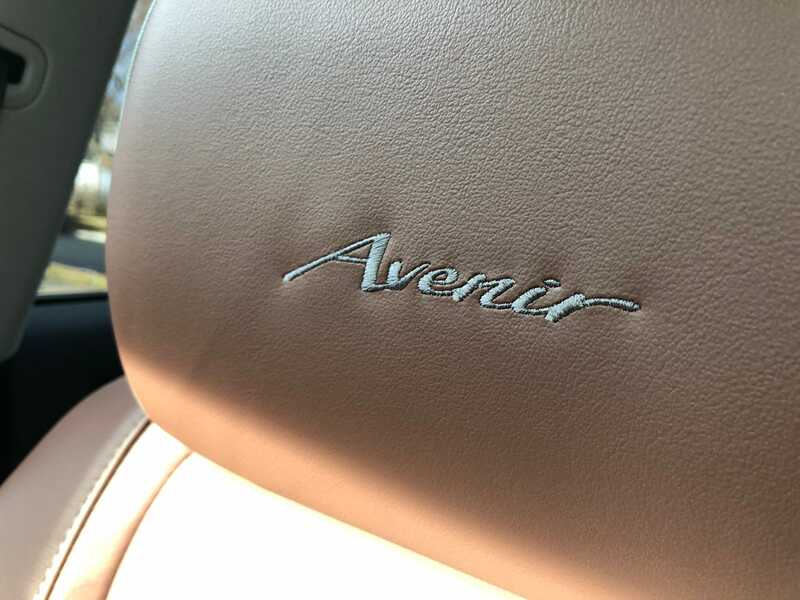 The Avenir trim is certainly worth a look. You could easily consider it a competitor to the likes of the Volvo XC90 and the Audi Q7, just at a near-luxury rather than true luxury price. Basically, in the somewhat vague near-luxe realm, the Enclave Avenir about the best you can get. In fact, as Buick’s flagship SUV, it rules its domain — admittedly, one that is less crowded than it once was, as brands such as Saab and Mercury have exited the stage. Logically, Enclave goes up against crossovers from Acura and Infiniti, the “tier two” luxury brands from Honda and Nissan. But those brands also compete with Cadillac, GM’s proper luxury badge, and Ford’s Lincoln brand, so in a weird sort of way Enclave has space to itself. For Buick, this isn’t a bad thing, as the division ha succeeded in appealing to younger buyers in affluent parts of the country, including the Southwest and the Northeast, traditionally bastions of the Japanese automakers and the German brands. There isn’t much to dislike about the Enclave, if you’re buying it to haul around a family in style. 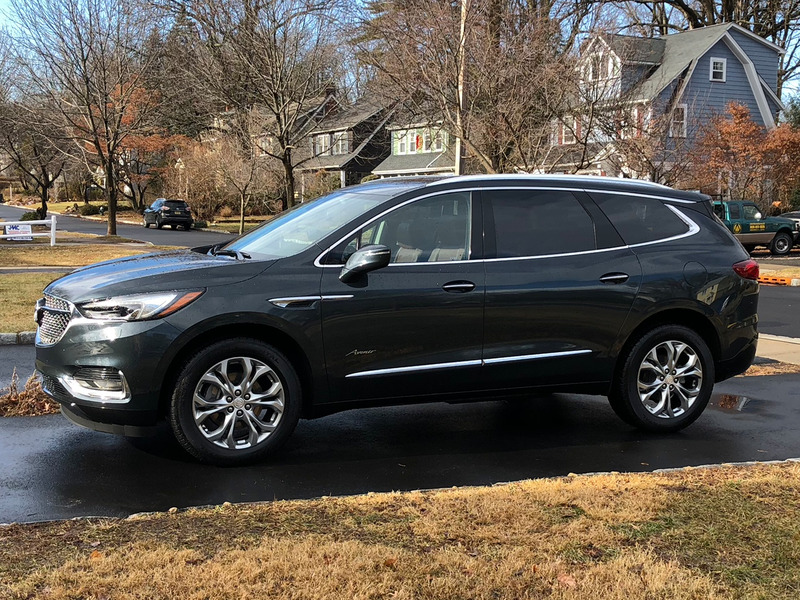 Buicks are sharp (although Enclave lacks the iconic “ventiports”), and the crossover has a true third row, enabling reasonable seating for seven grownup humans. The interior is premium without being as luxurious as, say, a Mercedes. And the 310-horsepower 3.6-liter V6 is a dandy motor, delivering a 0-60 mph dash of about six and a half seconds. The nine-speed automatic is pretty smooth-shifting, and fuel economy is fine for a large, heavy vehicle that can two 5,000 lbs. if properly equipped: 17 mph city/25 highway/20 combined. The driving dynamics are quite soft, and that’s what I’ve typically not liked about the Enclave. Somehow, the suave, quiet performance doesn’t bother me in Buick sedans. But the Enclave really takes all the edges off, a quality I didn’t find as much in evidence when I sampled the brands two other crossovers, the small Encore and the mid-size Envision. Design-wise, the Enclave is elegant, well-tailored — it doesn’t advertise its bulk, and it doesn’t come off as aggressive. The slashing headlights are about the only truly vicious cue on the whole vehicle, and the lovely red-white-and-blue tri-shield badge adds a touch of American class to the front grille. There is, to be honest, a decent amount of chrome on display here, but that’s long been a Buick thing. The new Enclave has picked up a nice suite of driver-assist features, including adaptive cruise control and automatic braking. This is a freeway cruiser, so owners will appreciate such stuff. 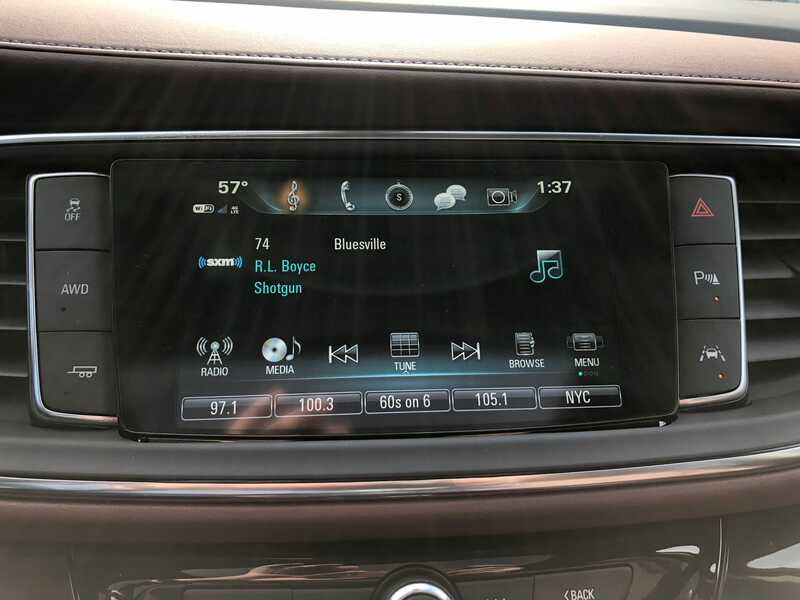 The infotainment system is GM’s generally excellent and responsive setup, which we’ve seen in Chevy, GMC, and Cadillac vehicles. It’s easy to use, with breezy Bluetooth device pairing and 4G LTE wifi connectivity through the carmaker’s OnStar system. The Bose audio system sounds great, and our Enclave tester came with SiriusXM satellite radio. This is a comfy car, there’s plenty of room and lots of cargo capacity, especially with the third row folded down. The seats are supportive yet not stiff, and up front, they’re heated and cooled. Admittedly, the price tag might cause some prospective buyers to pause, but what we have here is essentially the best version of just about the best crossover that Buick can build. The obvious question is, “Is it worth the money?” The answer: Yep. But bear in mind that it’s still a Buick. If a bolder, sportier SUV is what you crave, the Enclave Avenir might not be the best choice. That said, it offers enough class and capability to give more prestigious luxury brands something to think about.